With 8.2 million albums sold to date—including one RIAA Double Platinum Album, three Platinum and six Gold records, and two Platinum and four Gold DVDs—Casting Crowns remains the top-selling act in Christian music since 2007. The award-winning group—consisting of Mark Hall (lead singer/songwriter), Melodee DeVevo (violin, cello, vocals), Brian Scoggin (drums), Megan Garrett (piano, keyboards, vocals), Juan DeVevo (guitar, vocals), Chris Huffman (bass guitar, vocals) and Josh Mix (lead guitar, vocals)—got its start as a youth group worship band originally based in Florida. Today, each of the seven members remain active in student ministry at their respective churches in Atlanta, where Hall is serving in his 23rd year in youth ministry as student pastor at Eagle's Landing First Baptist Church. Building on a strong foundation forged by their self-titled major label debut in 2003 that went Double Platinum, Casting Crowns has earned some of the industry's most prestigious accolades, including six GRAMMY nominations, winning a GRAMMY for the band's 2005 effort, Life-song. 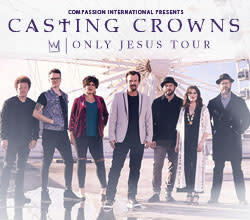 In addition, over the past decade, Casting Crowns has garnered 17 GMA Dove Awards, three American Music Awards and two Billboard Music Awards, among others. Most recently, the band was named Artist of the Year exclusively by fans at the 2014 K-LOVE Fan Awards. Their chart-topping songs—including "Who Am I," "Voice of Truth," "Praise You In This Storm," "Until The Whole World Hears," "Glorious Day (Living He Loved Me)," "Courageous" and "Jesus, Friend of Sinners"—have earned them nine No. 1 hits at radio and four RIAA Gold certified digital singles. Furthermore, the band has been featured by a variety of high-profile media outlets such as Billboard, Associated Press, Reuters, Rolling Stone, Atlanta-Journal Constitution, Charisma, HomeLife and CCM Magazine, among others. In 2008, the band performed on TNT's annual "Christmas In Washington" concert special alongside Kristin Chenoweth, Julianne Hough, Darius Rucker, and Straight No Chaser. 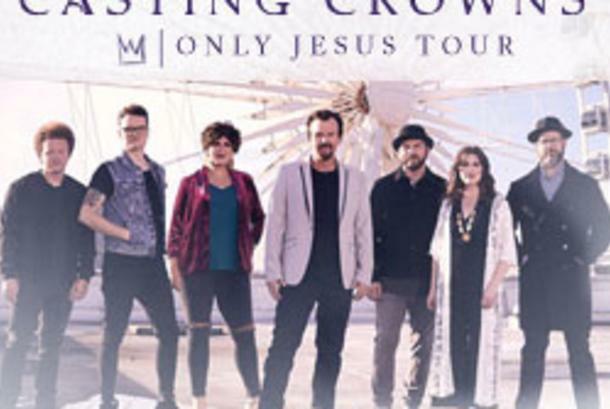 In addition, Casting Crowns has appeared on "Good Morning America," NBC's "Today," CNN, MSNBC, "Fox News," "Fox & Friends," "Huckabee" and more. They also had their debut performance at Carnegie Hall in January 2015.